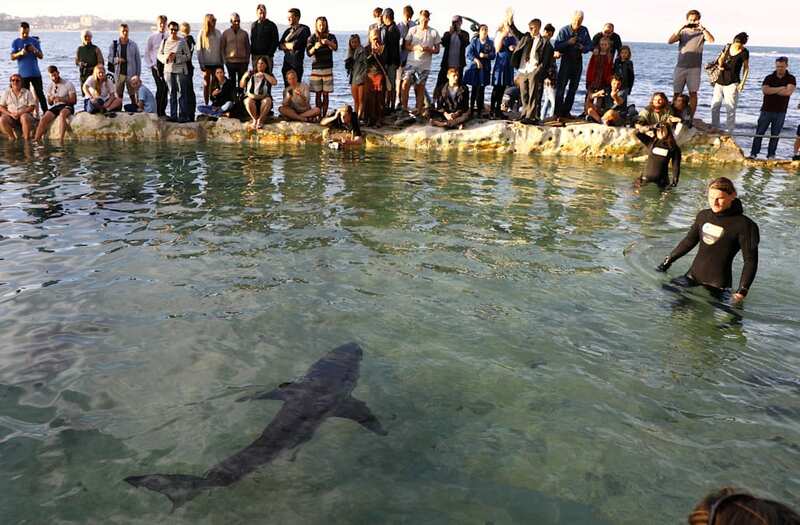 Onlookers gathered around a public saltwater pool to watch a rescued great white shark in Sydney, Australia on Monday, September 11. The young great white was found washed up and struggling on Manly Beach, Sydney earlier in the day and later transported by the Manly Sea life Sanctuary to a saltwater pool after several failed attempts to guide it back to sea. Videos shared on social media show the baby shark swimming around its temporary home under the watchful eyes of divers from the marine sanctuary. According to local media reports, the shark was since transported to an aquarium for overnight monitoring ahead of its planned release back into the ocean on Tuesday.